Superbowl 50 brought a lot of controversy and drama. Fortunately, a good game took place too. In fact, the game produced one of the best defensive battles I’ve seen since I started watching football the year of the Super Bowl Shuffle. Denver prepared by studying tapes of Carolina’s offense, and then they developed their defensive game plan based on what they saw. Good strategy because guess what plays Carolina used during the Super Bowl? Exactly what they’d been using all season. Nothing new. So, excellence in preparation met with amazing talent, and the Denver Broncos pulled out a win few expected. The Bible certainly calls for a defensive-heavy strategy for success as Christians. Though offense stills remains important, defense certainly receives more options. 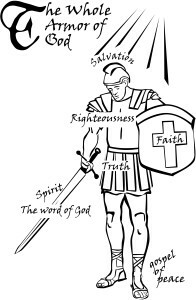 There are four specifically defensive weapons in the Armor of God listed in Ephesians 6: the breastplate, shield, belt and helmet. 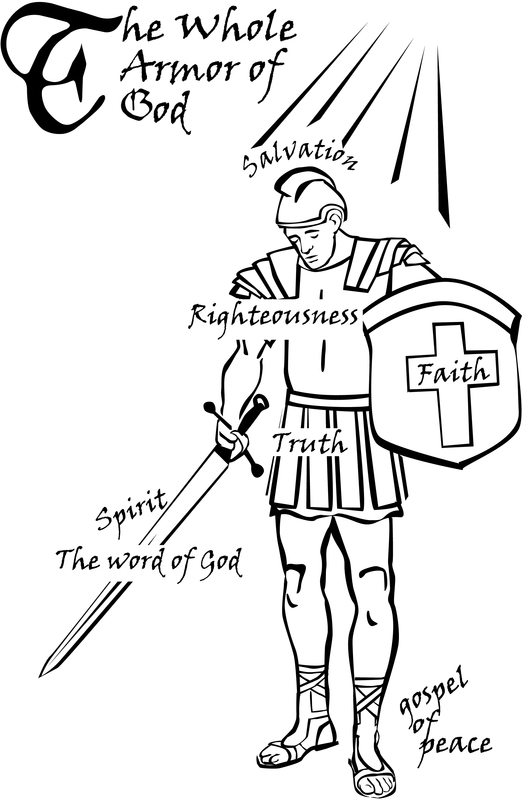 The footwear and the sword could be considered both defensive and offensive weapons. Defense protects. It keeps the enemy — the opponent — from infiltrating and taking over. Defense keeps the opponent from gaining victory. 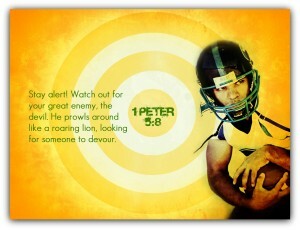 As Christians, we must become defensive specialists. While the opponent changes from game to game in football, it remains the same day in and day out for Christians. Since “we are not unaware of his schemes” (2 Corinthians 2:11), we can become defensive specialists too and keep the devil’s point scoring to a minimum. How do we do this? 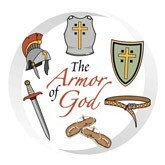 Maybe you, like me, learned about the Armor of God in Sunday school but never really understood its application until much later in life. Not until I realized the value of a solid defense in other applications did I truly understand how it must also be a consistent focus in my life as a Christian. Just as John Elway did with the Denver Broncos, I need to rebuild my defense and develop a strategy that will allow me to lead a more victorious life. I’m tired of being defeated. I’m tired of feeling exposed. Time to fortify my offense through the strengthening of my defense. 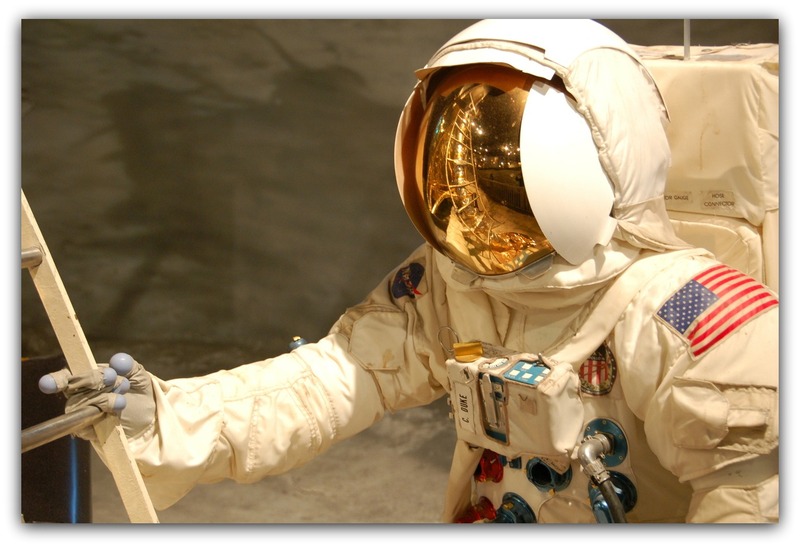 What does a solid defensive strategy using God’s armor look like?